Clover Mini is a point-of-sale system designed to accept payments from Android Pay, Apple Pay and NFC-enabled wallets. The terminal has a card slot, so it can be used for chip and PIN credit cards. Clover Mini is also equipped with USB port, PIN pad and an input for an Ethernet cable. 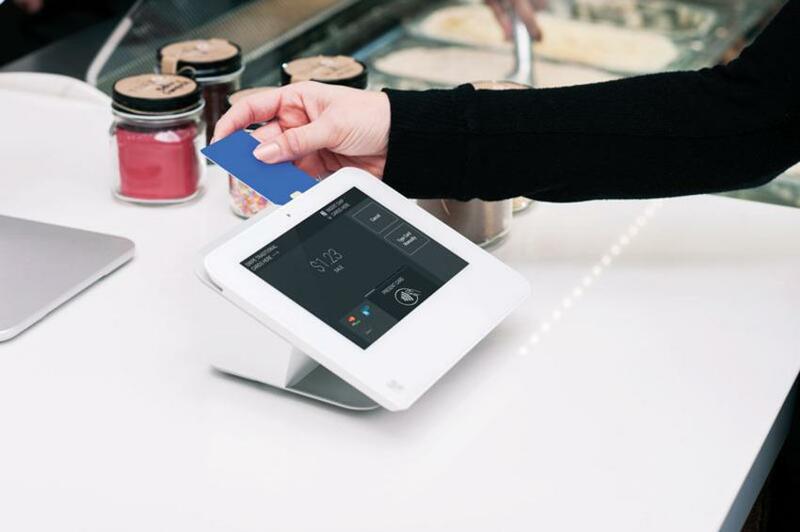 The new POS device is widely used for brick-and-mortar stores. The main objective of the device is to improve online businesses and customer experience. The president of First Data, Guy Chiarello, has said that Clover Mini is an innovative payment solution for people who want to do business in a more effective way. Guy has pointed out that Clover App Market is constantly growing and online business owners obviously need a more effective payment solution. That’s why Clover Mini has been invented. Clover Mini provides business owners with many important benefits. This payment solution is easy to use and has a perfect design. Moreover, Clover Mini has customizable software and so it can be easily adjusted for the needs of business owners. The software will allow you to run a business from any device – a personal computer, mobile device or tablet. Another important benefit of Clover Mini is that it provides shoppers with high level security. This means that the system is properly protected from hackers and customer data will be kept in a safe way. The payment terminal is equipped with a front-facing camera and a built-in receipt printer. So, the device can easily scan QR codes and check acceptance. After the launch of Clover Mini POS terminal the Bank of America Merchant Services CEO, Tim Tynan, commented the situation and expressed his opinion about the device. Tim has said that Clover Mini was designed to meet the needs of First Data’s customers. The owners of small businesses wanted to get an innovative payment solution. As a result, they have received a solution that they need. Mobile payments are considered to be an innovation in the payment industry. That’s why the number of merchants who prefer to accept mobile payments is increasing year after year. It can be predicted that the demand for payment terminals will be decreasing over the time. The company’s Clover Mini is a revolutionary solution in the payment industry. No doubts that First Data will be able to increase its profits significantly if its customers decide to replace their out-of-date payment terminals with an innovative Apple Pay-enabled POS. Apple Pay and Android Pay accepting terminals are becoming more and more popular among business owners and consumers. Obviously, 2015 has become the year of mobile payments.